This course is designed to equip those on the front-lines with a basic understanding of what a concussion is, how to recognize them, and how to safely manage a concussed athlete back into the classroom and the sporting environment. Click here to view the Concussion Sideline Course itinerary! Upon completion of this course you will have access to the Concussion Tracker smartphone application that works directly with our national concussion database! This will allow you to create a list of all your players/students, report suspected injuries either directly to one of our concussion treatment facilities or download and bring the report to their doctor. 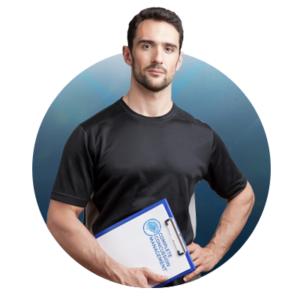 If working with a certified Complete Concussion Management (CCMI) clinic, you will also get up to date information on concussed athletes from their primary health practitioner throughout their recovery process. This provides teachers and coaches with specific academic accommodations and athletic drills that they are either permitted, or not permitted, to do at each stage of their recovery. If you’ve already registered, click here to login to your account.